serve clients and industry stakeholders. Alfonso Esparza specializes in macro forex strategies for North American and major currency pairs. 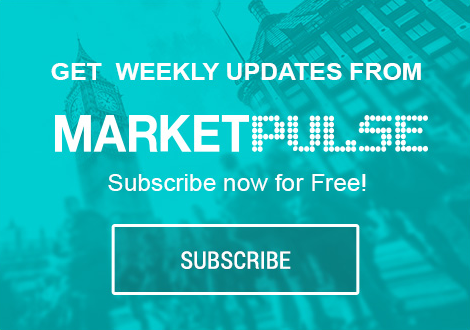 Upon joining OANDA in 2007, he established the MarketPulseFX blog and he has since written extensively about central banks and global economic and political trends. Alfonso has also worked as a professional currency trader focused on North America and emerging markets. He holds a finance degree from the Monterrey Institute of Technology and Higher Education (ITESM) and an MBA with a specialization on financial engineering and marketing from the University of Toronto. Based in London, England, Craig Erlam joined OANDA in 2015 as a Market Analyst. With years’ of experience as a financial market analyst and trader, he focuses on both fundamental and technical analysis while conducting macroeconomic commentary. He has been published by The Financial Times, Reuters, the BBC and The Telegraph, and he also appears regularly as a guest commentator on Bloomberg TV, CNBC, FOX Business and BNN. Craig holds a full membership to the Society of Technical Analysts and he is recognized as a Certified Financial Technician by the International Federation of Technical Analysts. With more than 20 years’ trading experience, Ed Moya is a market analyst with OANDA, producing up-to-the-minute fundamental analysis of geo-political events and monetary policies in the US, Europe, the Middle East and North Africa. Over the course of his career, he has worked with some of the world’s leading forex brokerages and research departments including Global Forex Trading, FX Solutions and Trading Advantage. Most recently he worked with TradeTheNews.com, where he provided market analysis on economic data and corporate news. Based in New York, Ed is a regular guest on several major financial television networks including BNN, CNBC, Fox Business, and Bloomberg. He is often quoted in leading print and online publications such as the Wall Street Journal and the Washington Post. He holds a BA in Economics from Rutgers University. Based in Tokyo, Japan, Ko Sato joined OANDA as a Trader in December 2010. With more than 10 years’ experience trading currencies, options, futures and other derivatives, he joined the MarketPulse team in November 2012. Ko writes both technical- and fundamental-based reports on various securities for MarketPulse’s Japanese website. He is a certified member of the Nippon Technical Analysts Association.